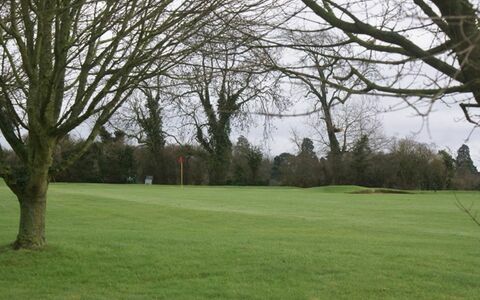 A challenging par 4, slight dog leg right, requiring a drive to the top of the hill, ideally left of centre of the fairway for a clear view of the green with bunkers left and right. 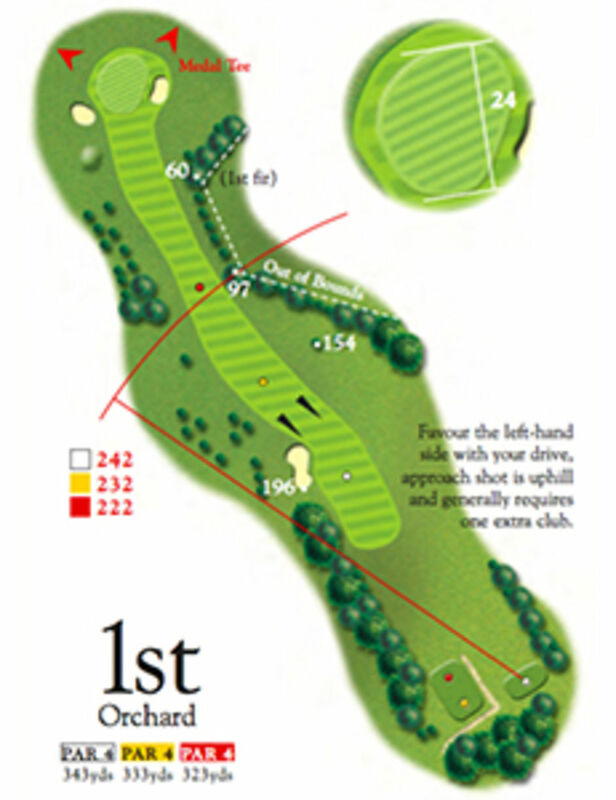 Avoid a tee shot leaking right as you will either be blocked out by the hedgerow or worse still – out of bounds. 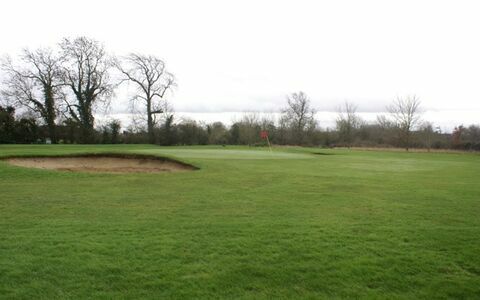 There was originally an orchard sited to the right of the competition tee, adjacent to the farm – hence the name.